When you are in a situation/ meeting where people all use the same plastic water bottles it is difficult to remember which one is yours. I noticed that water is often wasted simply because the owner of the bottle could not be identified. 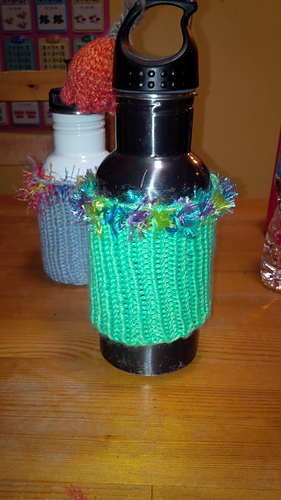 Having a cute bottle cover is not only fashionable but also functional and a conversation piece. The cover is easily stored on your pocket or purse.